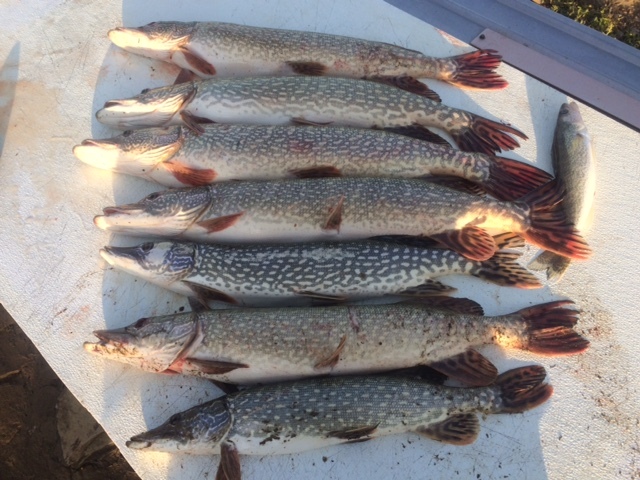 You are going to want to catch a whole mess of pike after you try this recipe sent to us by Steven Ray Thompson. PACK FISH IN JARS AND ADD RAW ONION SLICES IN ALTERNATE LAYERS. ADD ENOUGH PICKLING SOLUTION TO COVER FISH AND THEN COVER THE JARS. DISSOLVE SUGAR IN VINEGAR, HEAT DO NOT BOIL, THEN COOL. ADD WINE, ONIONS, ORANGE SLICES AND PICKLING SPICE. BRING TO A BOIL THEN COOL.